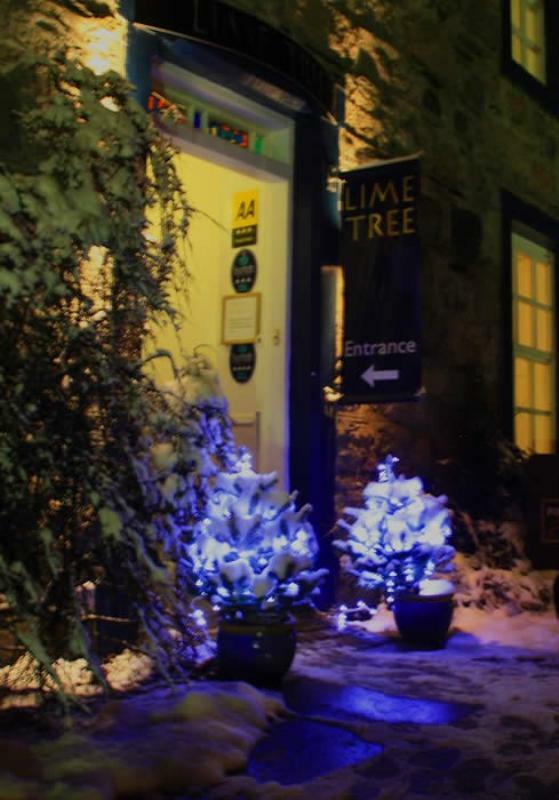 An award winning Highland retreat for artists and foodies, the Lime Tree at Fort William combines the virtues of self-styled 'small' hotel, contemporary studio/gallery and modern restaurant in a converted Macintosh manse. Owner and 'artist in residence', David Wilson, created the stained-glass doors for the hotel, while an open kitchen is the main talking point in the sunny, burgundy-walled dining room. Ingredients are locally sourced, but many dishes have a pronounced French accent – as in twice-baked smoked haddock and ham hock soufflé with chive beurre blanc or seared ribeye of Angus beef with a ragoût of oxtail, root vegetables and Burgundy jus. Dinner menus are interspersed with soups and a granita, while desserts could be anything from sticky date pudding to poached pear in mulled red wine with vanilla Mascarpone and pistachios.